Looking for free online coupon codes? Check out this list of the best sites to find free printable coupons for both online and offline stores - you'll be able to save some serious money and find some great deals for nearly every major retail site and shopping outlet on the Web. How Do Online Coupon Codes Help? Before you buy online from a major retailer, take a detour to the land of promo codes. Sites like So Not Retail allow you to search for discounts by brand or by category. If you’re in the market for video games or a new laptop and you type in “electronics,” you'll find applicable codes that save you big at the checkout. How Can a Simple Web Search Help You Find a Better Deal? You've just stumbled upon a pair of shoes that you clearly can’t live without – but how can you be sure you’re getting the best price? If the shoe has defining features, search the Internet using descriptive keywords at your favorite search engine. If not, zoom in on the product photos to see if you can read the brand name, then look online to find a better deal. What About Those Social Shopping Sites I'm Always Hearing About? When you sign up for Groupon and LivingSocial to receive local daily deals in your inbox every morning, you'll do more than save major cash. You’ll also discover new restaurants and events, all over town. You've probably heard people talking about these sites, and no doubt you've idly wondered how they work. Well, why not go and see? For anyone who loves finding new ways to save, daily deals bring new surprises every day. Are Online Rewards Programs Worth It? Most online shops have a rewards system, so don’t submit an order before you have explored your options. Paying an extra $10 to reach the free shipping limit could save you $20. Yes, work those rewards the right way and you can basically score free items. Sometimes, you don’t even have to buy anything – like when you use OpenTable to make restaurant reservations. Every time you keep a reservation, you earn points that you can spend on restaurant gift cards. Are There Cheaper Alternatives to Designer Items? Falling in love with designer jewelry and accessories is easy. Falling in love with their price tags? Not so much. So the next time you find a designer item you adore, try searching for its homemade cousin on Etsy. Example: a white howlite bracelet retails at Neiman Marcus for $250. On Etsy you can have it for $17 – and they throw in earrings. Is It Worth It to Search for Good Deals Online? It’s always a good idea to keep an eye on your spending, but you don’t have to become a career couponer to do it. All you need to do is put your online time to better use. So the next time you’re shopping online, try one of these tips. Better yet, try them all. Remember, every time you say “no” to that stack of paper coupons, you add 20 minutes to the life of a checkout girl. If you won’t do it for your wallet, do it for her. Good deals are abundant online, and the following list of the best deal sites can help you track down the best bargain on pretty much anything. Offering everything from computer gadgets to kids' toys, these deal sites find the lowest prices on the Web - and pass the savings on to the consumer. Instant coupon finder app for Chrome. Dozens of departments to browse. App updates can cause glitches. You can find free online coupon codes for more than 20,000 stores here at RetailMeNot; anything from Amazon to Victoria's Secret. This is a is a well-organized, simple site that offers free online coupon codes from a variety of stores; anything from grocery coupons to free shipping offers can also be found here. Coupons are here not only for your favorite stores, but also for books and magazines, hotels, electronics, and a lot more. Many deals don't require a coupon code. Amount of information might be overwhelming. SlickDeals is a community-driven deals site, posting dozens of fantastic deals, coupons, and other goodies throughout the day. SlickDeals offers a number of ways for users to track the deals posted: via the various forums (these are VERY active), the SlickDeals front page (where the hottest deals are featured), Slickdeals Mobile, Deal Alerts, and more. They've also recently opened up a new Local Deals feature, and there are convenient RSS feeds for most topics in the forums (so you never miss a posted deal in your area of interest). You never leave the website. Fewer products than similar sites. Woot Deals is a community deals site, with extremely high-quality deals listed throughout the day. Deals at Woot tend to be a bit more on the geeky side; still, there is something here for everyone. The Woot community finds deals with free shipping as well as rock bottom prices, so it's a deal site well worth checking out. In addition to free online coupon codes, there are also some pretty good deals on daily items, anything from clothes to tech and everything in between. There's the daily Hot Deal, as well as a frequently updated list of the most popular coupons. Multiple ways to save money. Dozens of categories to browse. User account required for some products. Cash back savings aren't instant. Coupon Cabin is a great source for free online coupon codes - coupons for over 2000 stores at the time of this writing. 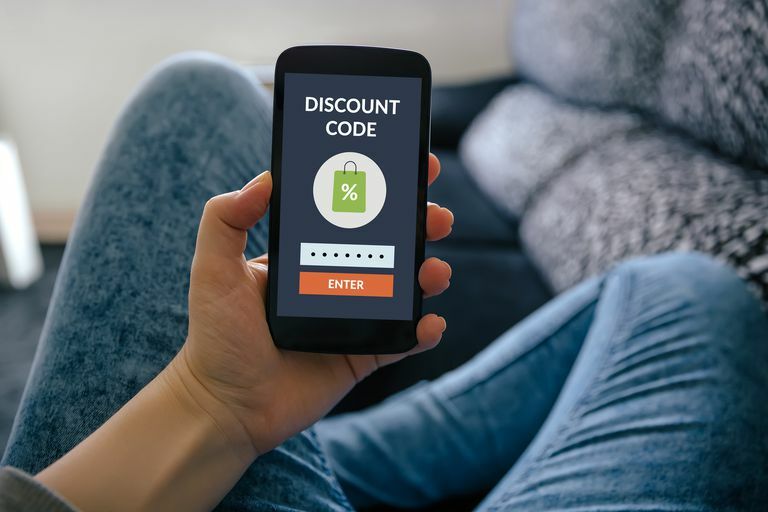 There are tons of great deals you can take advantage of both on the Web and off, as well as free online coupon codes for many of your favorite stores. Free printable travel, grocery, retail, restaurant coupons and more are available here. Coupon Cabin works somewhat like a deal aggregator; they filter good deals from other sites mentioned on this list and feature the most popular on the front page of the site so you can pick and choose whatever coupons are most convenient to you. Black Friday is traditionally the day after Thanksgiving, and it's the unofficial start of the holiday shopping season. The Black Friday: You can keep track of in-store coupons and flyers here, as well as multiple store-specific deals. Black Friday.fm: search for Black Friday sales by store or category here; you can also sign up for their free newsletter to stay on top of the latest Black Friday sales, they also have a nice feature where you can add and save your favorite sales to a list for easy access. Black Friday.net: You can find Black Friday sales here by store, popular products, or category; you can also save all your favorite deals to a portable, printable list. Amazon Black Friday: While Black Friday are traditionally reserved for stores you can actually visit, giant online retailer Amazon.com has rolled out a huge plethora of specials especially for Black Friday.